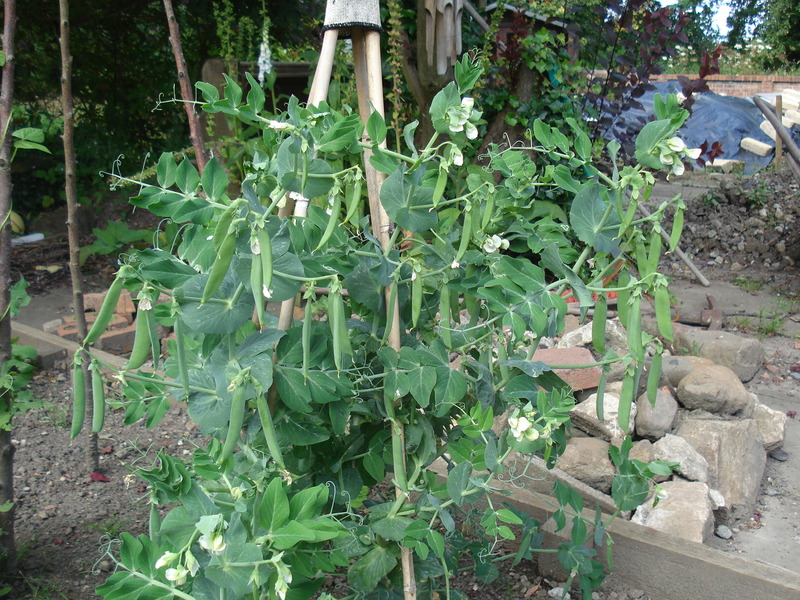 I have had a bumper year for peas. I decided to stick to petit pois and went for a variety called Calibra. I was promised disease resistant high yields and I was not disappointed. I experimented by starting early and growing a crop in a large pot inside the greenhouse. 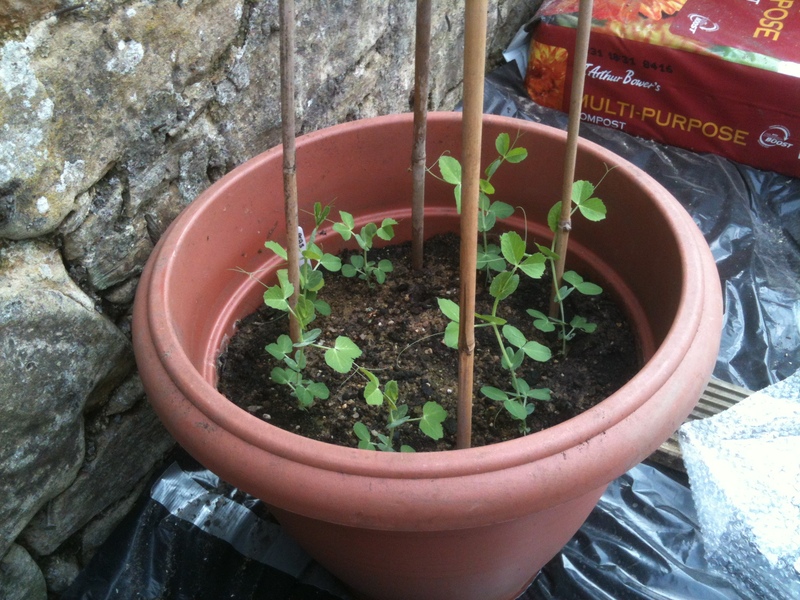 I planted the seeds on 19 February and we started eating the first peas on 23 June. By comparison I planted seeds outside on 27 April and have been eating them from early August. Doing it this way has meant a continuous supply of little green gems right through summer. 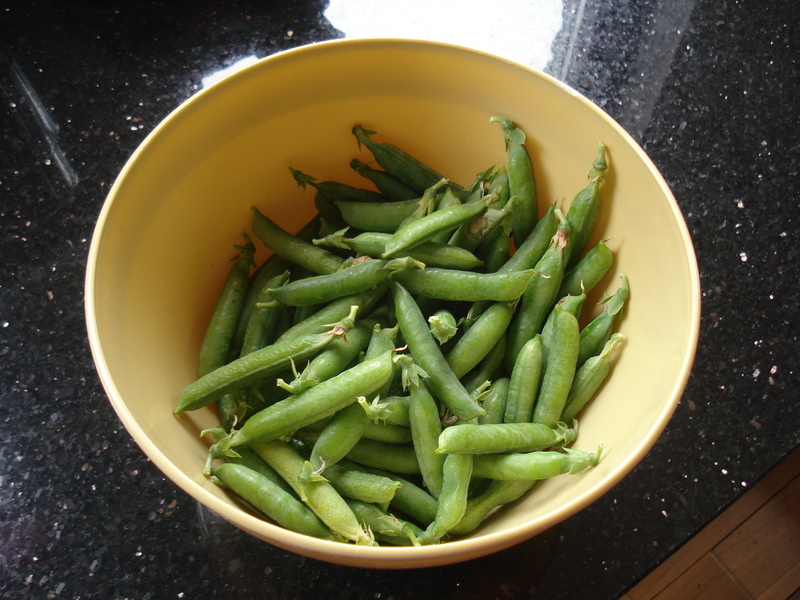 I would have had even more but I planted some mange tout beside the peas and got carried away when the first pods appeared. After forcing Mr Mac to eat very stringy “mange tout”, I realised one day while weeding that we had been eating the pea pods NOT the mange tout…..oops! One day I will practice what I preach and label things! Over the two batches I also managed to freeze some. When shelling them, I was reminded of the old Birds Eye frozen pea advert from my childhood, with the slogan “one hour to frozen”. Apparently this slogan was subtly dropped as the real time had crept up to 2 and a half hours! 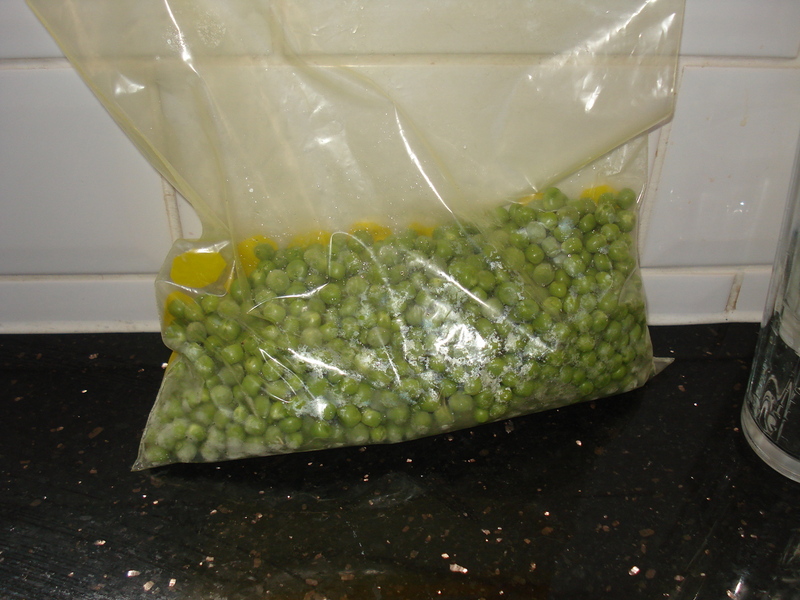 I managed from bottom of the garden to freezer bag in less than 12 minutes – beat that Captain Birdseye!